CrossFit Kids is a physical activity program designed to make health and fitness fun for kids of all ages! With the struggles and consequences of many children’s sedentary lifestyle, our program offers a safe environment for healthy activity for every child, all while focusing on having fun. CrossFit Kids workouts consist of constantly varied, functional movements that deliver a fitness that is broad, inclusive, general, and scalable for any participant at any level. At CrossFit Raeda, kids classes are for ages 4 to 11 years old. Classes are designed to incorporate kids of all fitness levels so that each child feels welcome & successful. Hard work and play are disguised into FUN & GAMES in hopes to develop a lifelong love of fitness! 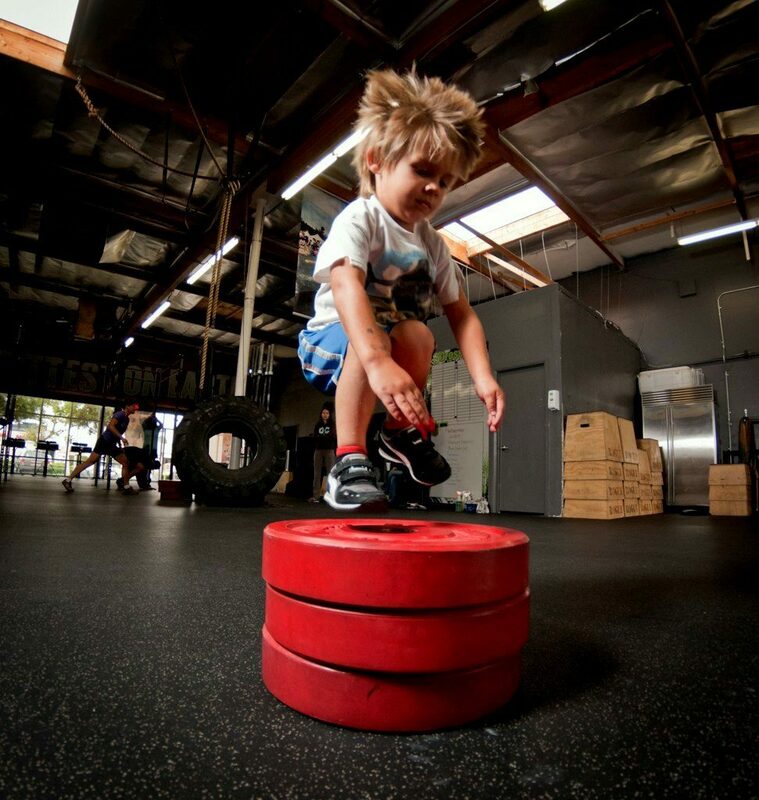 In developing these skills, Crossfit Kids prepares children for the demands of life. Our Crossfit Kids classes range from ages 4-11 years old and include a dynamic warm up, skill development, a workout and finish it all off with a game.